No matter how carefully you handle your bike, something can always happen that will require maintenance or repair. 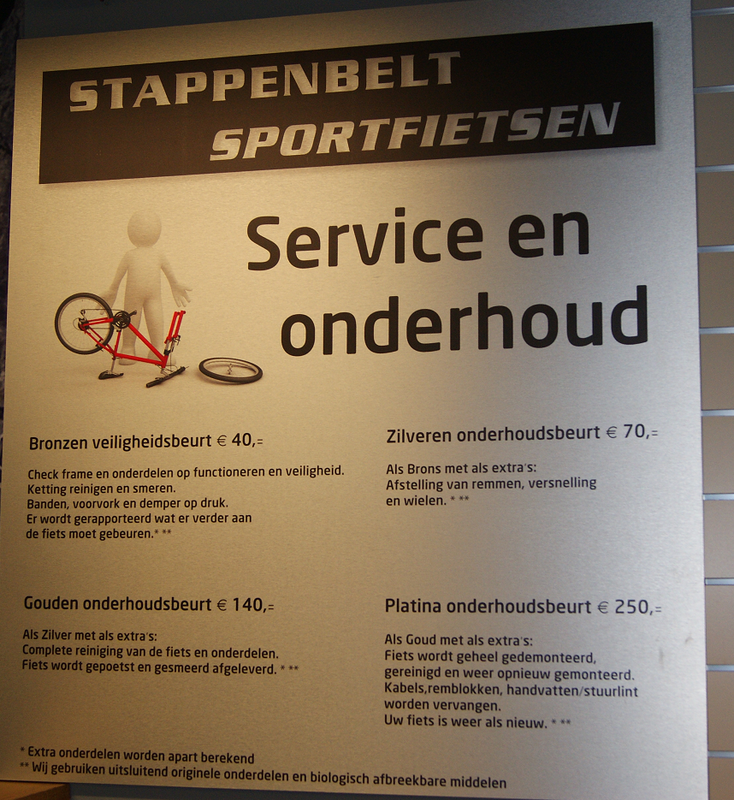 Visit Stappenbelt for a truly professional and specialized bicycle repair in Apeldoorn. We have all the necessary knowledge and experience to repair sports bikes, so that you can enjoy your bike again in no time. The Stappenbelt workshop is perfect for sports bike repair, road bike maintenance and all other possible bicycle repairs. Have you been using your sports bike for a long time and do you want to have it maintained? Have you gone too fast on the course and is your bike in need of a thorough check? Then come along for professional bike maintenance. Repairing your bike in the event of a breakdown or damage is no problem at all. Our staff is experienced and well trained, so we can assure you of a careful working method, high quality and of course the best service. As a Specialized Concept Store we stock various accessories and parts from Specialized. If something needs to be replaced, we will arrange it for you. Moreover, this means that we are experts in the field of this renowned brand. Nowhere in the area will you find a bicycle shop that is this specialized. With us you are in the right place for everything from regular maintenance to bicycle repair. In the workshop we work with a planning, so always contact the workshop via +3155 367 17 46. This way your bike can be scheduled in the planning. You will always receive a message on your phone when your bike is ready. You can opt for Bronze, Silver, Gold or Platinum maintenance.